I have one QuickBooks Online login, which provides access to multiple QuickBooks Online companies. When I initially configured the connection, I selected one of the clients that I have access to (Company A). The connection worked great and I got the data I needed. Now I want to export data for another client of mine (Company B), but I’m not sure how to reconfigure to pull from their database and not Company A's. You can create new DSN company wise & authorize your company file and use it in your configuration. For Example, Create New DSN for Company A & use Company A's DSN for accessing Company A's data. Same way you can create DSN for Company B & use Company B's DSN for accessing Company B's data. You can repeat this for multiple company files. 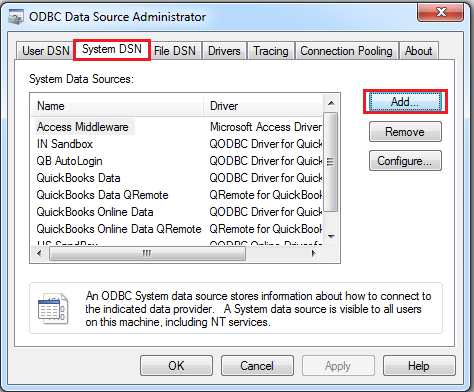 Please refer below example which is showing creating QODBC Online DSN company wise. 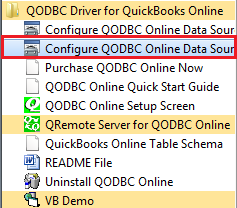 Locate the QODBC Driver for QuickBooks Online program group on your desktop. 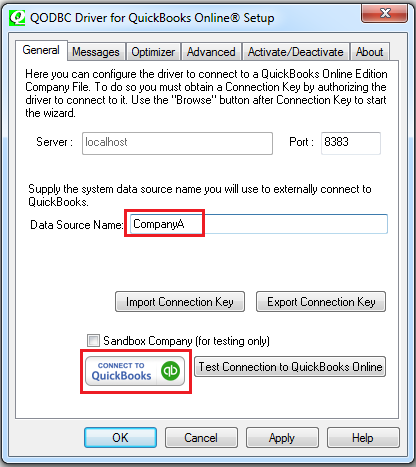 Click on the Configure QODBC Online Data Source icon to create or configure a QODBC Online Data Source Name (DSN). 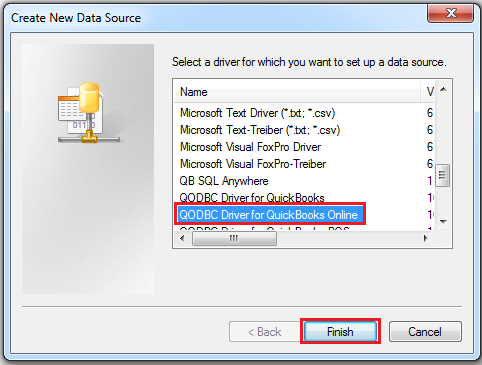 Select the QODBC Driver for QuickBooks Online option and click on the Finish button. Enter the Data Source Name as CompanyA and click Apply. You need to authorize your company file to work with QODBC Online. During the authorization select your Company file. Once it is connected, You can use Excel or Access or VB Demo or any other application, and use "CompanyA" instead of "QuickBooks Online Data" and you should be able to connect and fetch data from QuickBooks Online. You can repeat above steps for another company file (i.e. CompanyB, CompanyC etc..).